Materials: Double skin façade made of silk screened glass for solar control. Uses: Mixed use (commercial, offices and high end residential). 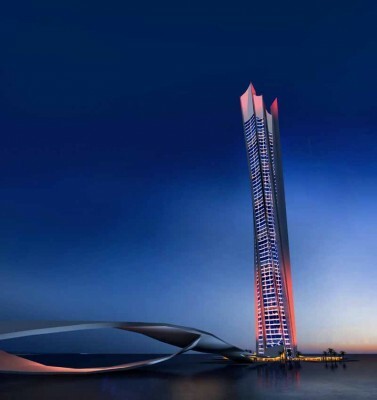 The tower stands like a stylized stem with a light torsion, creating the elegant movement that characterizes the project. 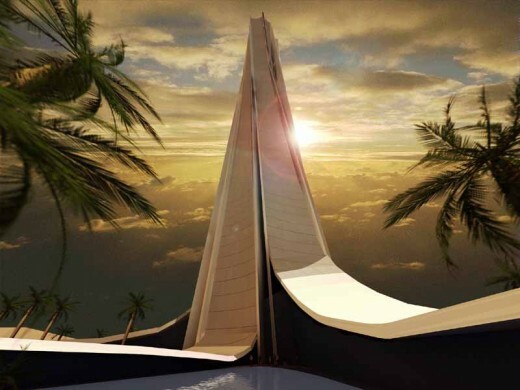 The base has the form of a pointed arch with smooth bends, imitating the shape of the waves in the Gulf Sea. 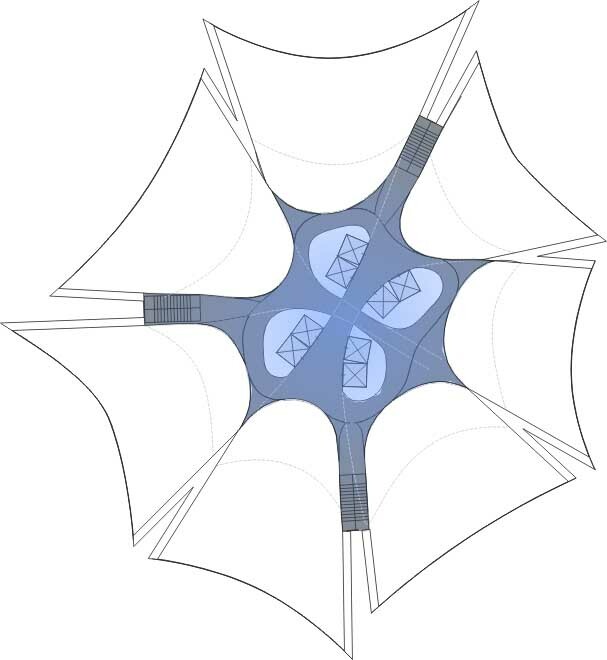 The structure is solved with “V” form unions between the different parts in the plan view. The installations and elevators are located in the central core. Interior gardens are present in all the common zones, improving the air quality and working as natural temperature regulators. The project is located in the Madinat Al Arab District, a zone under development that is expected to become the new downtown and central business district of Dubai. 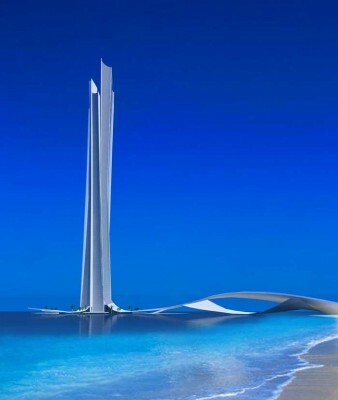 When built, the Wave Tower will become the highest tower designed by Spanish architects.